With our pool services in the Lincolnton, NC area, we’ll save you time and hassle and help you enjoy having a pool right in your very own backyard even more than you already do. 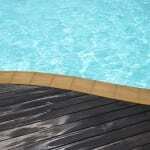 Pool Services in Lincolnton – It’s no secret that having a pool comes with some work. At S & H Pools, we’re here to help. With our pool services in the Lincolnton, North Carolina area, we’ll save you time and hassle and help you enjoy having a pool right in your very own backyard even more than you already do. Pool opening—Getting your pool ready for summer swimming is one of the most exciting times of the year! We’ll get your pool ready for the season by removing the cover and starting the pump and filter system, heater, and other equipment. We also install the ladder and handrails and will add your start-up chemicals if you’d like. Pool closing—We’ll get your pool ready for cooler winter temperatures by draining the pump, filter and other equipment, preparing everything to prevent freeze damage, putting your cover on the pool, and adding the winterizing chemicals if you’d like. If you want to find out more about any of our pool services or why you should let us help you with all of your pool-related needs, contact us at S & H Pools today! We’re completely committed to your satisfaction and are always ready to provide you with great service.